Our signs are manufactured using high grade 5mm acrylic and your design is precision applied with high quality vinyl. Our vinyl is UV resistant, ensuring that your sign will last for years to come. Each of our acrylic signs is flame polished on the sides to ensure a perfect finish every time. 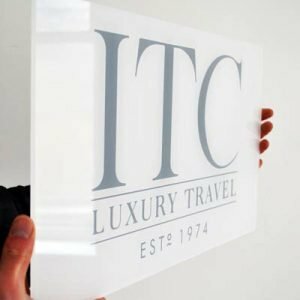 Our clear acrylic business signs are fully customisable and come with a long lasting finish, to provide a sign that will make your business stand out for many years to come. 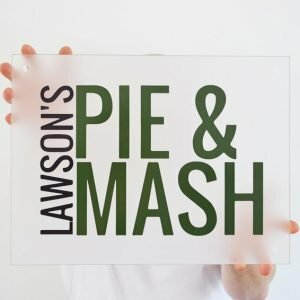 With prices starting at just £20.82 for a 150mm wide acrylic sign, our signs are not only great value, but fully customisable too. We don’t restrict our customers to using the fixed-prices size options on our website; we are also able to cater to any requirements. Please contact our expert team via info@designasign.co.uk to discuss bespoke size requirements or any other enquiry. 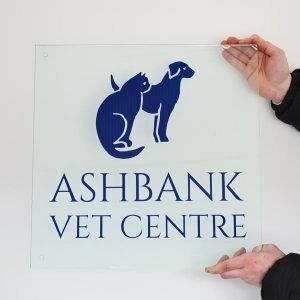 Our acrylic business signs come with all fixings supplied at no extra cost. 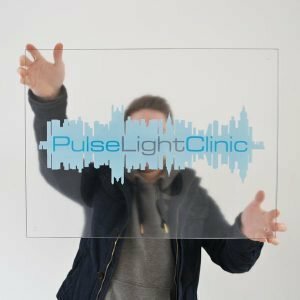 You can completely personalise our clear acrylic business signs, as we create a design that meets your personal needs. 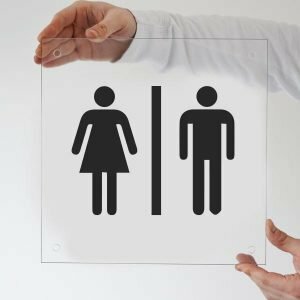 We have two different options that can help you create the perfect acrylic sign to represent your business. We offer a quality design service, with our team of in-house design experts, to create the perfect design to present your company. Our team will work to the brief you send us and come up with a high quality design for your business. 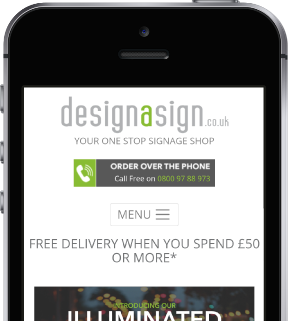 This is completely free so why not make the most of it and get your own custom design business sign! If you already have your design then that is not a problem. You can simply upload your artwork straight to your basket on the product page. Our team will then make sure that your design is applied perfectly using our high quality, precision vinyl.